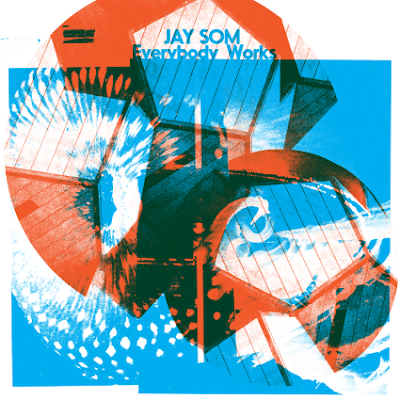 Everybody Works is the debut album from Jay Som, aka Melina Duterte, a 22 year old from Oakland, California. After several demos and mini releases the multi instrumentalist has poured everything into the record's 10 tracks, which were recorded over a 3 week spell last October in her own makeshift bedroom studio. Available through Polyvinyl Records, Everybody Works is a heady mix of jaunty pop and spacey rock, moving from intimate folk melodies to spiky punk guitar lines. Such is the advancement in personal recording software the album does somewhat move away from the typical 'bedroom pop' sound, but such is the openness and honesty from Jay Som this isn't particularly at the forefront of your mind. The album is very much a personal affair, which coupled with the bright and varied music lends itself to a very fulfilling listening experience.